(From the Sept 17th episode of the Daily Show). And, the kicker: expresses the sense of congress that the Renewable Fuel Standard should ensure that every region can be a producer of cellulosic biofuels from a vast array of feedstocks. The bill passed 239-189, picking up just fifteen Republican votes while losing thirteen Democrats. However, the likelihood of this bill turning into law is slim, as it has to make it through the senate, which, with the threat of a Republican filibuster, looks almost impossible. The chances of a bill that shifts oil subsidies passing the senate without a filibuster-proof Democratic super-majority (ie 60 Democrats) is, by my rough estimate, a billion to one. This is not to say that the passage of this bill was not a success in the eyes of House Democrats. After being hammered all summer over refusing to pass expanded drilling provisions of provide relief at the pump, the Democratic caucus in Congress can now say, with honesty, that they voted for an "all of the above" energy solution package, and that the Republicans were the party standing in the way on drilling. This is actually a remarkable tactical victory for Democrats, who beat the Republicans at their own game. But it is just that: a tactical victory in a political battle in which the Republicans set all the conditions. Democrats have been in control of the House for two years, but they are still struggling for tactical victories and playing Republican games. If Democrats want to not only be the party in power but a powerful party, they need to shift the Congressional political landscape with not tactical, but strategic victories. The Dems need to proactively choose the battles that they will fight with Republicans instead of constantly reacting to Republican power plays. They need to win a battle that they start, a battle that they choose--a battle in which they represent the will of the electorate. It is these sorts of political victories that will have Democrats building political capital instead of preserving it, setting and owning the agenda instead of reacting to it. The best place for Democrats to take ownership of the political process is energy. Providing a real vision for new energy to power America will put the Democrats on the offensive, creating a narrative of proactive Democratic solutions to problems of economy and national security. The best way for the Democrats to establish credibility as leaders of the country and stewards of our economy would be a bold push for new American energy. And until the Democrats are setting the terms, they will continue to play catch-up with Republicans and to scramble for a tactical victory. The Republicans have been pounding the Democrats on energy policy so far this summer, effectively adopting an “all of the above” approach (at least in terms of their messaging) to solving our energy price woes. The Democrats’ responses, on the other hand, have failed to frame the debate on their terms, instead offering scattered solutions and saying “no!” to the Republicans’ plans. The Democrats will test the Republicans with an “All of the Above” strategy that will embrace offshore drilling as it calls for a renewable energy mandate, energy-efficiency measures for buildings, and oil industry tax provisions. As the Republicans chew on that, I also have to wonder if the Democrats are really paying attention, once again, to what truly matters when it comes to energy policy in 2008. The Democrats say their bill is a work in progress and offered few specifics besides the information above and their certainty that they will pigeonhole the Republicans with an offshore drilling provision. House Natural Resources Chairman Nick Rahall (D-W.Va.) continued that the inclusion of an offshore drilling provision proves that the Democrats are prepared to respond to the needs of some in their caucus and the concerns of the American people. It is September. The crucial Production Tax Credits (PTC) and Investment Tax Credits (ITC) for the emerging renewable industries will expire at the end of 2008 if they are not renewed by Congress. If they expire, so will an estimated 116,000 jobs and billions of dollars lost in clean energy profits for homegrown American energy – all at a time when our economy is struggling to pick itself up amidst a slowdown. These tax breaks are absolutely critical to the continued growth of America’s alternative energy industries and their extension will only be good news for our economy. Promoting a renewable energy mandate, a political nonstarter, when the PTC/ITC extensions are at stake intimates that the Democrats’ priorities are not set straight. The Democrats should drop the mandate and focus on what matters between now and 2009. The Democrats have a ripe opportunity to get this right – they can win on message, and on policy – if they adopt policies that reflect what Americans’ true concerns are: our economy and energy security. The Democrats, too, need to walk the walk when it comes to an “All of the Above” strategy and include what matters above all else for energy policy in 2008. Thought the Republican's nomination of "Maverick" John McCain meant we'd finally see a showdown between two "green" candidates this November? Think again, say New York Times columnist Thomas Friedman and Sierra Club Executive Director Carl Pope. College students in particular should pay attention, Friedman writes. 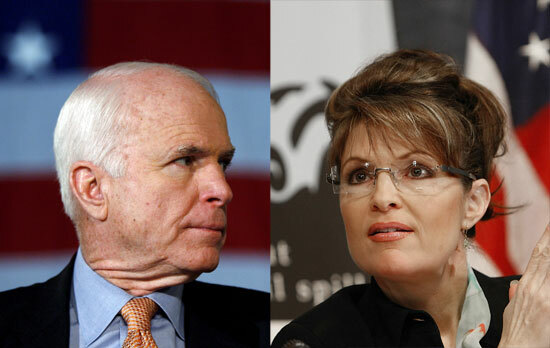 "With his choice of Sarah Palin — the Alaska governor who has advocated drilling in the Arctic National Wildlife Refuge and does not believe mankind is playing any role in climate change — for vice president," Friedman writes in his latest column, "John McCain has completed his makeover from the greenest Republican to run for president to just another representative of big oil. Addressing college students in particular, Friedman goes on to plead, "please, students, when McCain comes to your campus and flashes a few posters of wind turbines and solar panels, ask him why he has been AWOL when it came to Congress supporting these new technologies." I don't think we'll have a problem with that! "One of McCain’s last independent policies putting him at odds with Bush was his opposition to drilling in the Arctic National Wildlife Refuge,” added Pope, “yet he has now picked a running mate who has opposed holding big oil accountable and been dismissive of alternative energy while focusing her work on more oil drilling in a wildlife refuge and off of our coasts. While the northern edge of her state literally falls into the rising Arctic Ocean, Sarah Palin says, ‘The jury is still out on global warming.’ She’s the one hanging the jury — and John McCain is going to let her." "So, college students, don’t let anyone tell you that on the issue of green, this election is not important. It is vitally important, and the alternatives could not be more black and white." Again. Not a problem. With a million young voters joining in Power Vote by November 4th, we'll send a clear message to elected officials that the Millennial Generation understands just how important this election is and just how much we need a clean, just and prosperous energy future.